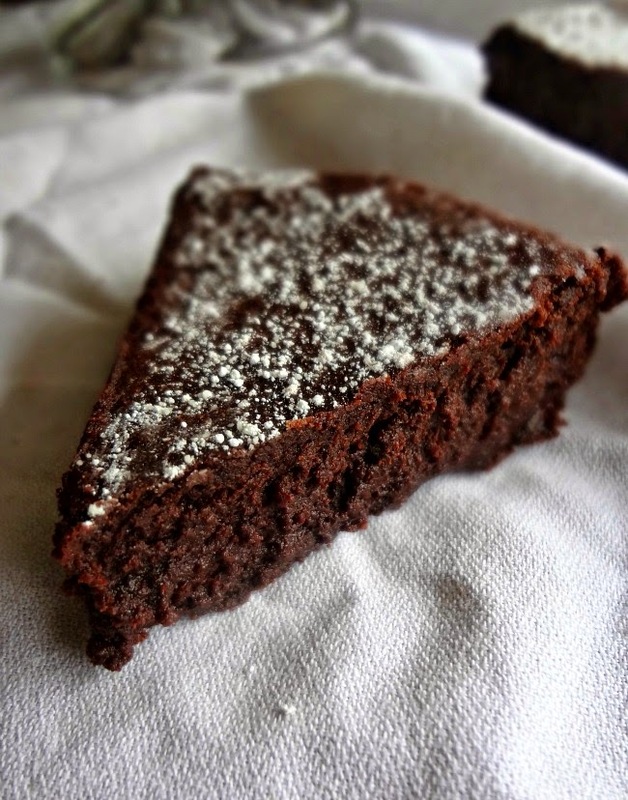 I've made my fair share of flourless chocolate cakes (and this one is still the best. Although the recipe I'm sharing today is a close 2nd!). And there's a reason. 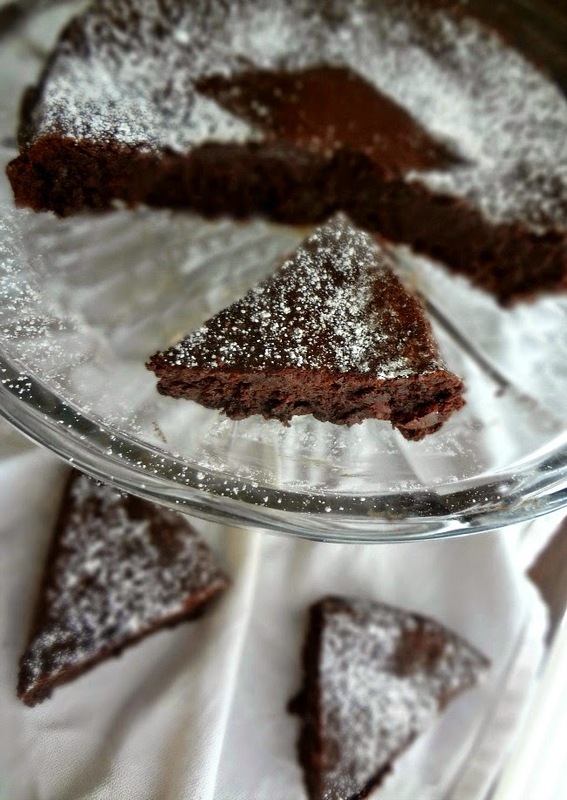 Another upside to flourless chocolate cake is how EASY it is to make but how impressive it seems! You can serve the cake super elegantly with garnishes, powdered sugar, etc. (to make a symbol on the top of the cake just cut out a shape with paper, place it on top of the cake, and then dust with powdered sugar. Remove the paper and voila'!) or you can just sit on the couch in your p.j. 's and eat it warmed up with some ice cream while you watch Millionaire Matchmaker. Up to you, really. 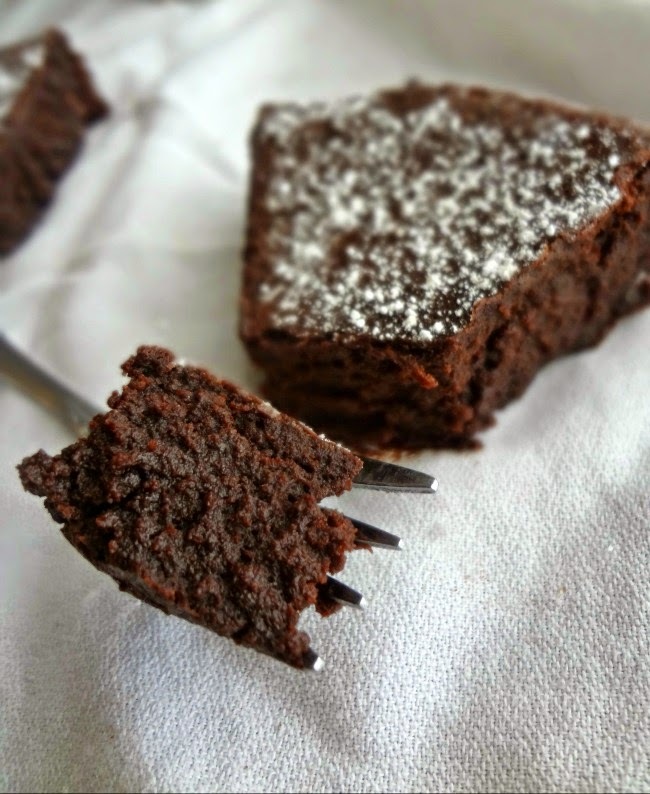 The texture of this flourless chocolate cake is like the most moist and chocolatey chocolate cake you've ever had times a thousand. It's intensely dense and almost melts in your mouth. I also can't decide whether I like it best cold, room temperature, or warmed. They're all delicious! Look....it's still the holiday season. We have a bit more time to enjoy parties and indulging before January 1st rolls around and we're all hitting the gym and only eating salads. 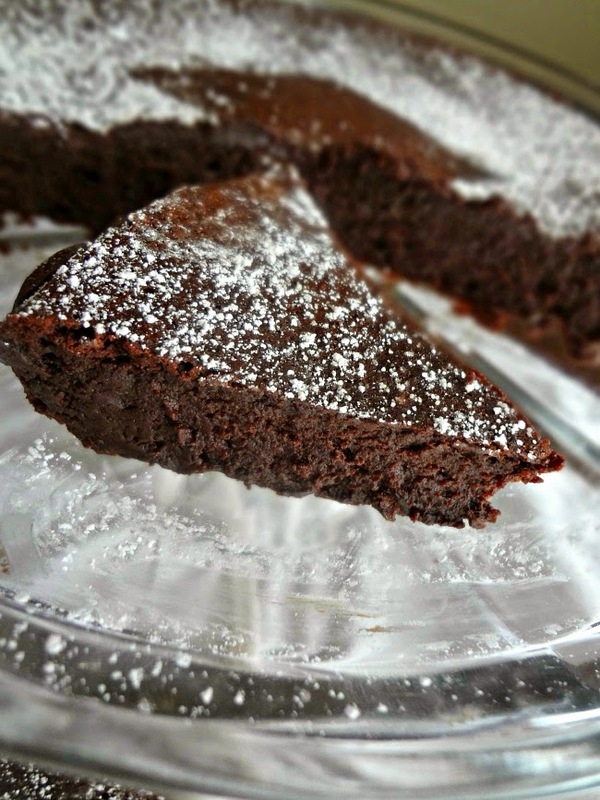 So let's live up the rest of 2014 and make ourselves and our favorite people a flourless chocolate cake. I think 2014 deserves it. I think WE deserve it! Preheat oven to 375F degrees. Butter an 8 inch round cake pan (I used my pushpan ) and line the bottom with wax or parchment paper. Butter the paper. Finely chop the chocolate (or at least into small pieces). 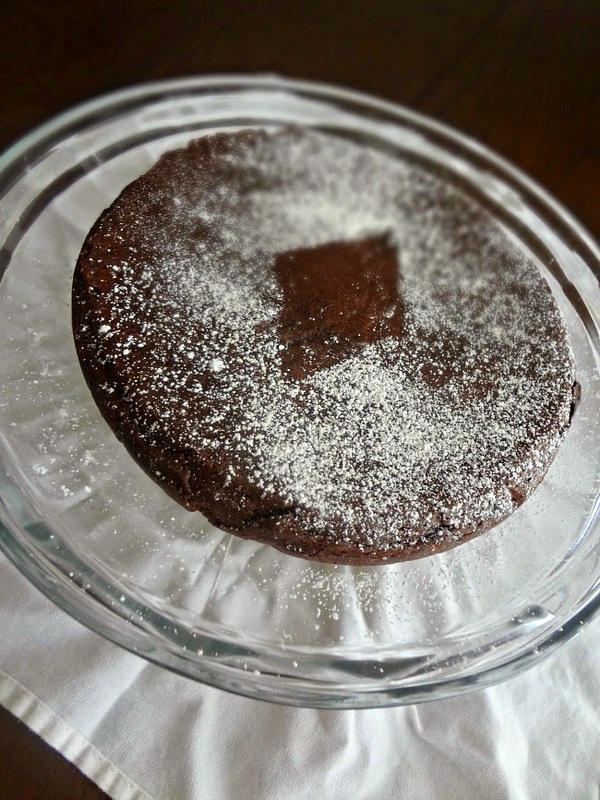 In a double broiler (or heatproof bowl set over a saucepan of barely simmering water-without the water touching the bottom of the bowl) melt the chocolate and butter together until smooth, stirring occasionally. Remove from heat and whisk in the sugar. Whisk in the eggs. Sift cocoa powder into the bowl and whisk until just combined. Pour batter into the pan and bake on the middle rack of the preheated oven for 25 minutes, until the top has a thin crust. Store leftovers in an airtight container at room temperature or in the refrigerator for up to 1 week.